Finely ground titanium dioxide is a bright white powderwidely used as a base pigment in paint, paper and plastics. Metallic Titanium can be easily derived from it for uses such as aircraft and high-strength steel devices. Ilmenite is a titaniferrous mineral (FeTiO3). Mineral produced at various mineral separation plants form specific grades in terms of TiO2 content ranging from 50 % to about 60%. The FeO and Fe2O3 content also varies between 10 ~ 20 % and 12 ~ 27 % respectively. Ilmenite is the titanium-iron oxide mineral with the idealized formula FeTiO. 3. It is a weakly magnetic black or steel-gray solid. 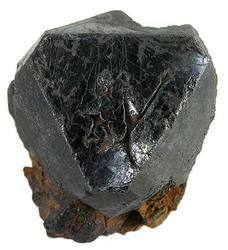 From the commercial perspective, ilmenite is the most important ore of titanium. Catering service consultant for Railways catering licensees, Manpower Management for star category hotels, PPP projects with Govt, Heavy Minerals Sand, Zircon, Garnet, Ilmenite, Siliminite, Rutile and import & Export of various products. We have requirement of Ilmenite. we greatly appreciate your sending us your fresh soft offer to us. in order renew our negotiations with our clients. please expedite. It is now the most important ore of titanium. Ilmenite-a mixture of iron and titanium oxides, is used as a furnace lining in the steel industry and also as a blasting medium. 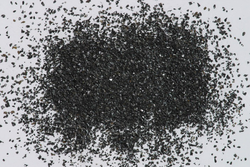 After eliminating the iron particles, Ilmenite can be further processed to produce Synthetic Rutile, which can be further developed to make Titanium Dioxide.